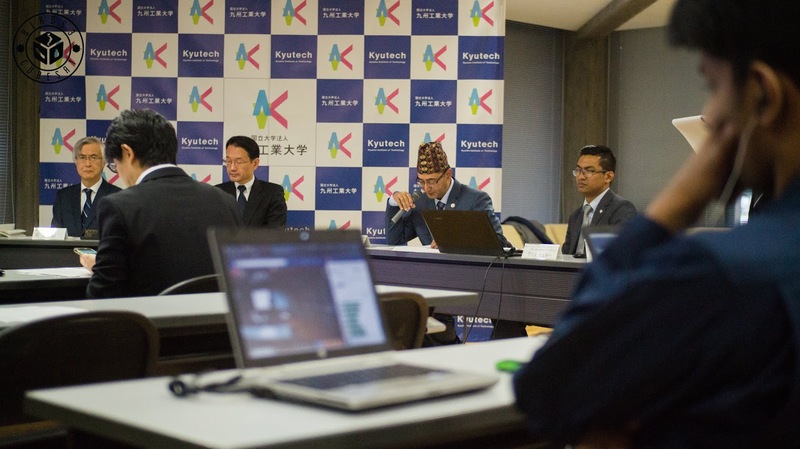 Dr. Sunil Babu Shrestha, the newly appointed Vice Chancellor of Nepal Academy of Science and Technology, the apex independent body for development of S&T in the Nepal, was at Kyushu Institute of Technology to attend the BIRDS-3 Satellite Project Press Conference held at the premises on February 15, 2019. The transcript of his speech for the event have been documented below. A video with Japanese translation has also been included. I am very happy to participate in this significant event on behalf of Nepal Academy of Science and Technology (NAST) and the Government of Nepal. Nepal has been able to participate in the BIRDS-3 project as a result of several rounds of interactive discussions among the different stakeholders including concerned Ministries of Government of Nepal. The proposal put forward by Kyutech for the participation of Nepal in BIRDS-3 project was finally accepted with consensus and NAST became executing body on behalf of Nepal. 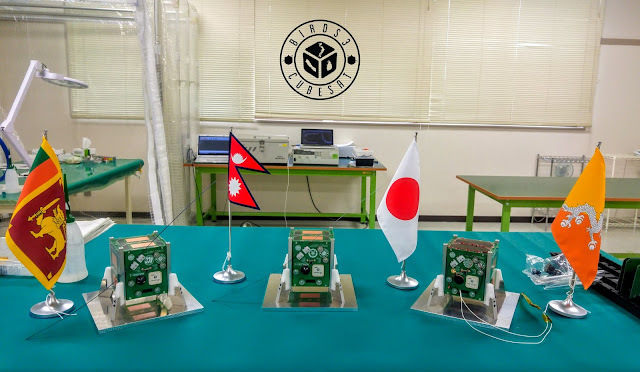 Though small in size, constructing and launching a satellite of its own for the first time, is a big step for Nepal. At this point of time, I believe that we are at the verge of accomplishing the mission. Hence, I would like to congratulate and thank everyone including two Nepalese fellows who contributed in every way possible to bring this mission to this stage. 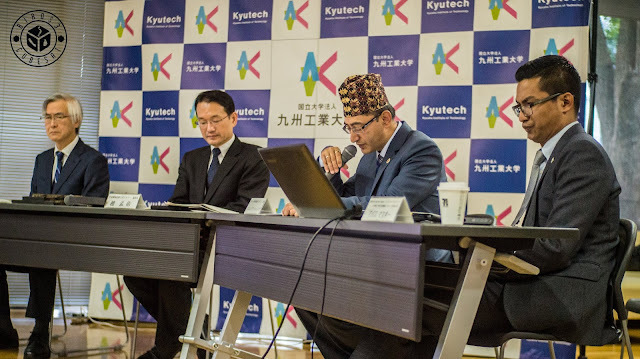 I am grateful to the Kyutech family for hosting the project. I wish for the successful launch of the satellites in April and their functioning, before which, we will have prepared a ground station at NAST. Launching and operating the satellite is just the first step towards capacity building for Nepal. We are fully aware that only limited amount of useful data can be mined from a 1U CubeSat. 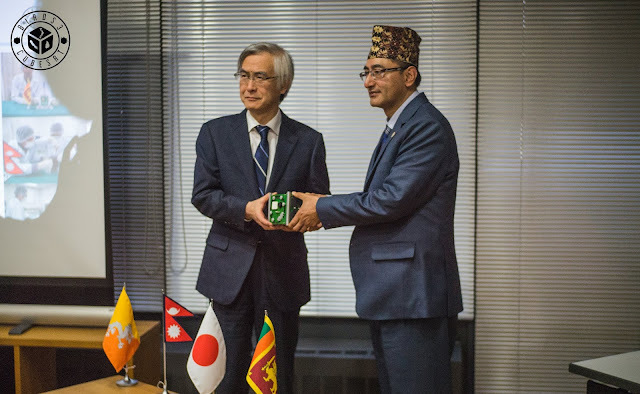 On this occasion, I want to express my deep gratitude to predecessor Vice Chancellor of NAST, Prof. Jiba Raj Pokharel for his initiative to participate in the BIRDS-3 project by visiting Kyutech and signing on the MoU. This is largely a symbolic gesture of the government of Nepal to invest more on STEM education. I recall that Mt. Manaslu, as an iconic landmark, had embolden the Japanese professionals and administrators for their prosperity in the past whereas I believe that this satellite will remain as an inspiring landmark of collaboration for us to enter into space era.